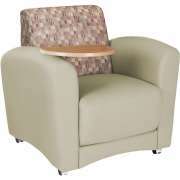 Choose Library & Media Center Furniture: Purchase Now! 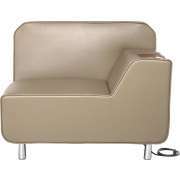 What furniture do you need in a school library or media center? You will definitely need some library tables and coordinating chairs to start with. You can transform your school library into a hub of learning with Hertz Furniture&apos;s great selection of classic and modern styles. Of course, libraries are all about books - so we offer a wide range of bookcases in styles that are great for both children and adults. Our media center furniture is designed to coordinate with traditional pieces while accommodating all of your contemporary needs.With everything available to you in one convenient place, you&apos;ll find all you need for your school library at Hertz Furniture. What furniture do you need in a modern library? You need a lot more in a contemporary library media center than they used to. Today's libraries are complicated things. In addition to all the traditional library furniture, any library – no matter how large or small – has to meet the needs of the digital age. So the list of library "must haves" is considerably longer than it was in the days of card catalogs and the Dewey decimal system. One library furniture item that hasn't changed is the obvious one – bookcases. No matter how computerized things have become, books are not (yet) obsolete and libraries still need lots of space for them. Double-faced library bookcases are one great way to pack a lot of books into less space. If these are too pricey, then single-faced units can be assembled back-to-back for the same effect. Special literature racks and periodical displays keep magazines and soft-cover books intact and easy to find. What kind of desk does a librarian need? Most librarians work behind a circulation desk. These can be super-simple or highly elaborate, from one computer station with a small desk to a sprawling, circular setup. The important thing is that it should be functional, and that it should be large enough to accommodate however many librarians you have. Don't forget to have at least one book return. Those can be hard to manage without. Once the books are squared away, people need a place to sit and actually read them. That's where library chairs and tables come in. While the classic wood library chair never goes out of style, upholstered chairs can add comfort as well as a touch of color. 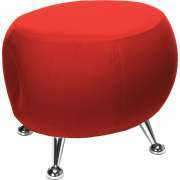 Library tables come in a huge range of shapes, colors, sizes and configurations. Mixing and matching between tables and chairs not only adds depth and texture to your school media center, it also ensures that you get the most out of your floor plan. 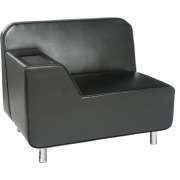 What furniture should I have in my childrens library? You should get some inviting children's library furniture. This includes big book displays, reading terraces, bean bags and a whole array of small tables and chairs. Let your imagination go with this; the kids who visit will be more likely to feel good about reading if their library media center is a fun place to be. Keep it bright and cheerful. Manufacturers like Children's Factory, Wood Designs, Brand New World and Gressco offer a whole range of options that will enhance your school library. Do you like color-coordination? Check out the Educational Edge line of matching bookcases, tables and chairs. Where can I find study carrels? Study carrels can be found in many different styles, but for the modern library media center, computer carrels are a must-have. No school or public library can compete today if they're not optimized for computer use. At the very least, you'll need enough computer access stations for your patrons to be able to look up the books they need without waiting forever on line. Computer carrels enable students and researchers to sit for prolonged periods of time for study and Internet research. At Hertz Furniture, we offer a large selection of library computer solutions, from the standard to the fully customized. How can I make my school library better? You can make your school library better by looking at additional library furniture that, while not mandatory, does make things easier and more convenient. Book carts let you transport books easily from the circulation desk to wherever they belong. Some of them are so attractive, they actually add to your library's décor. 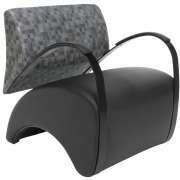 Newspaper racks and pamphlet holders let you take advantage of open areas and wall space. And, last but not least, don't forget step-stools so that patrons can access high-shelves without making a special request. 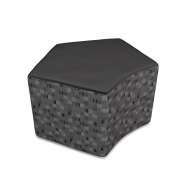 For stools that visitors will literally get a kick out of, check out the Kik-Stool series. Hertz Furniture's professional Project Solutions team and financing experts enable us to be there for you every step of the way, from planning your library all the way through to the finishing touches. Whether you're furnishing a new library, renovating an old media center or just looking to upgrade, we at Hertz Furniture are committed to making sure that you get exactly what you need, at a price you'll be happy with.